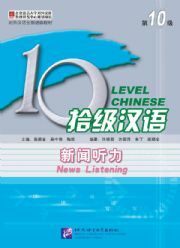 This is the News Listening Textbook of Level 10 of Ten Level Chinese series, containing 15 lessons and one final exam paper. With real language materials taken from the news broadcasting covering the different aspects such as economy, education, technology, culture, health, etc, it helps to improve the students' language skills and the understanding of the overall situation in contemporary China. "This unique program emphasizes authentic, unrehearsed Chinese language as it is spoken among Chinese speakers. The program includes a DVD and audio connecting students to Chinese culture, politics, and issues by means of the popular talk show program of China Central Television, Tell It Like It Is! Because a broad variety of individuals participate in the shows, representing different genders, ages, and accents, the listener/reader is exposed to the kinds of language used in real-life situations. Complete episodes of Tell It Like It Is! are available on DVD. Tell It Like It Is! addresses the crucial need of advanced-level students of Chinese to learn spontaneous informal oral discourse, whether they are participating in classroom study or learning independently." 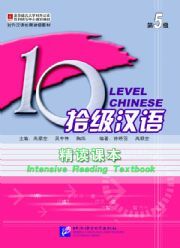 This book provides a research-based account of how to teach and learn Chinese as a foreign language. Specially written for Chinese language teachers, student teachers, and applied linguists, this is the first book written in English that systematically addresses all major aspects involved in teaching and learning Chinese as a foreign language. It identifies five key areas: pronunciation (tones and pinyin), characters and words, sentences, discourse and pragmatic competence, and cultural competence. It covers all the fundamental grammar elements in Chinese, explains their functions in discourse and communication, and explores different strategies for teaching and engaging students in learning the language. Teach Yourself Mandarin Chinese Complete Course Package, 2nd Ed. With this book, Cantonese is attainable for any beginning student. You can use Teach Yourself Cantonese Complete Course at your own pace or as a supplement to formal courses. This complete course is based on the very latest learning methods and designed to be enjoyable and user-friendly. 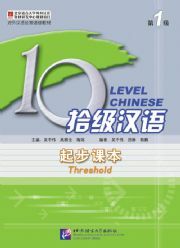 Prepared by experts in the language, Teach Yourself Cantonese begins with the basics and gradually promotes you to a level of smooth and confident communication, including: * Up-to-date, graded interactive dialogues * Graded units of culture notes, grammar, and exercises * Step-by-step guide to pronunciation * Practical vocabulary * Regular and irregular verb tables * Plenty of practice exercises and answers * Bilingual glossary Package includes two 60-minute CDs and a book. "Readers wanting to learn the basics of reading and writing a new language that employs script will find all they need in the Teach Yourself Beginner's Script series. Each book includes a step-by-step introduction to reading and writing in a new language as well as tips and practice exercises to build learners' skills. Thanks to the experts at Teach Yourself, script will no longer be all ""Greek"" to language learners--unless of course, it is Greek script! Teach Yourself Beginner's Script series books feature: * Origins of the language * A systematic approach to mastering the script * Lots of ""hands-on"" exercises and activities * Practical examples from real-life situations "